The Deepwater Exploration of Glacier Bay National Park expedition offers a unique opportunity for explorers of all ages to investigate and better understand the deep-water environments of this pristine National Park. This collection includes an Expedition Purpose written for educators, standards-based lessons on the interdependent relationships in Glacier Bay National Park marine ecosystems and biodiversity in Glacier Bay National Park benthic ecosystems, and Theme pages on the Arctic and Deep-sea Corals. These theme pages each include a selection of essays from past Arctic and deep-sea coral expeditions, lessons relevant to the science and technology of this expedition, videos, multimedia presentations for students, career interviews, and links to past expeditions with an Arctic and deep-sea coral focus. Also included is a link to a blog from our Teacher at Sea from this expedition. 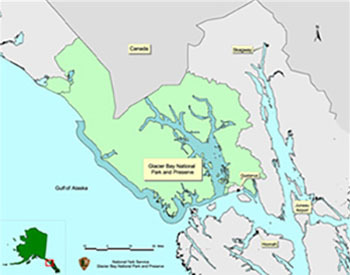 Why Are Scientists Exploring the Glacier Bay National Park? 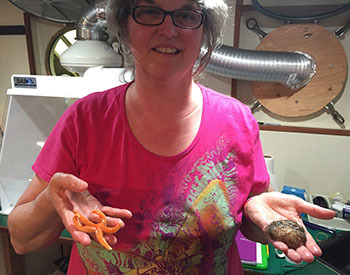 Follow science teacher Mary Cook as she blogs her experience at sea.